A 263-page report from a global management consulting and market research firm predicts better days ahead for the industry, beginning in 2011. The boating industry in 2010 was projected to remain almost flat on a global basis as the economy recovers from the recession, according to Lucintel in its research report, "Global Recreational Boating Industry Analysis and Forecast 2010-2015." 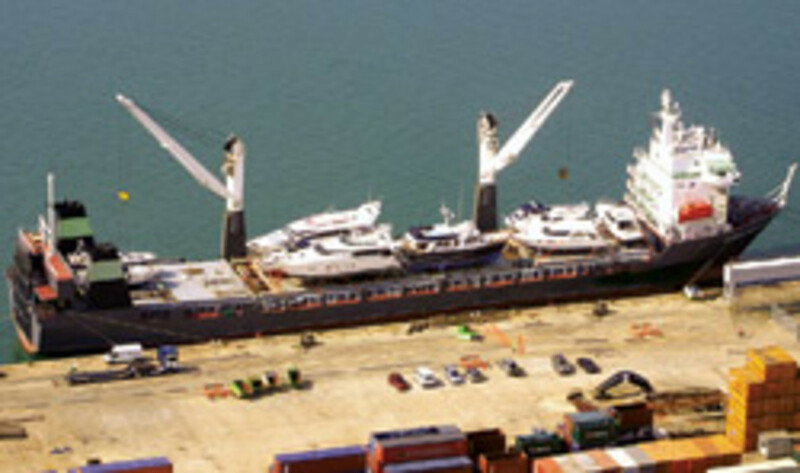 Economic recovery holds the key to the global boating industry regaining a positive growth trajectory. Lucintel expects the global boat market to see growth as that market recovers from the slump of 2008 and 2009. Lucintel says global demand for recreational boats is projected to rise from the $18.2 billion projected in annual sales for 2010 to $27.8 billion by 2015. On a global basis, North America represents the largest region in terms of unit shipments, but Lucintel&apos;s research reports that Europe saw the highest relative growth from 2004-09 as Europe-based boatbuilders gained market share in large boats. "In terms of specific boatbuilding industry trends, there is an ongoing shift in product mix toward larger and more expensive boats," Lucintel says in a statement. "Azimut-Benetti ranked No. 1 in the global recreational boat market, followed by Groupe Beneteau, Ferretti and Brunswick." For pricing information on the report, call (972) 636-5056 or e-mail helpdesk@lucintel.com. Grow Boating Inc. reported in mid-November that the board of the National Marine Manufacturers Association approved the full restoration of Grow Boating assessments, effective Jan. 1. The decision comes after a Grow Boating funding task force, composed of representatives of the Grow Boating board, recommended that the NMMA board reinstate full assessment collection to reignite the Discover Boating campaign next year. A preliminary Discover Boating marketing plan was approved by the Grow Boating board in September, which stressed a focus on content and mobile readiness; augmented lead generation; boosting the reach of target consumers via mass, social, digital and search media; and heightened public relations support. Participants at November&apos;s National Marine Bankers Association conference in San Diego expressed confidence that stability is working its way back into the boat loan sector. "The number of marine funding institutions, including major national banks, has settled in around a half-dozen, reflecting what&apos;s found in the broad financial market," association president Karen Trostle, of Sterling Acceptance Corp., says in a statement. "And we see some hopeful signs of new boat loan and refinance activity, especially resulting from the fall boat shows." Trostle shared the results of an anecdotal "how&apos;s business" survey comparing the 2010 fall boat show season with 2009. A roughly equal mix of 50 dealers and manufacturers and financial servicers/banks were contacted and results generally showed increased percentages in new boat sales of 10 to 30 percent nationwide. Other results showed refinances up 22 percent overall; used boat sales up 35 percent; and retail sales for boat show vendors up 30 percent. 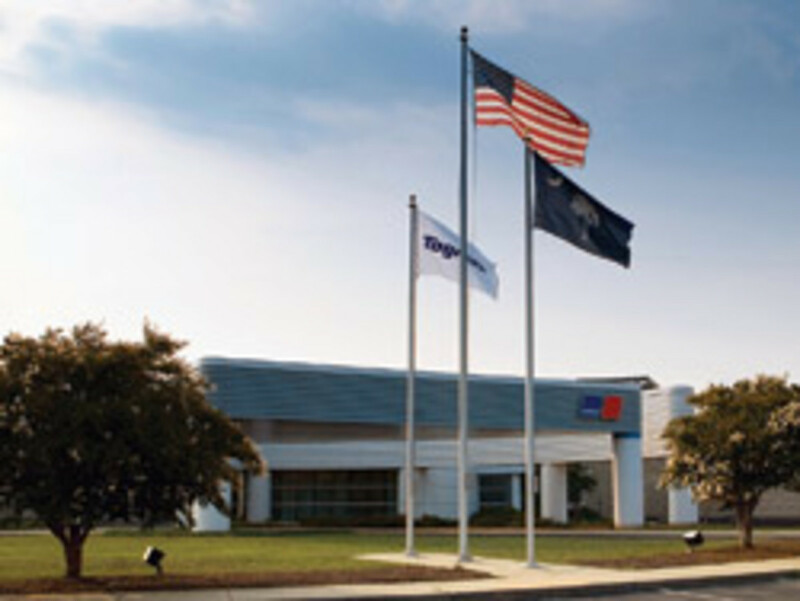 The new production facility MTU Detroit Diesel opened Dec. 1 in Aiken, S.C., will manufacture MTU Series 2000 and 4000 engines, primarily for the U.S. market. The assembly lines are the first step in developing the plant into a broad production base in the United States. A manufacturing department for components is scheduled to go into operation in the spring, the company says, and further expansion is possible. "Our success in the U.S. shows there is a large market here for our products," Volker Heuer, CEO of Tognum AG, Friedrichshafen, Germany, says in a statement. "We are taking advantage of the current low real estate prices to prepare ourselves for further growth in the USA." About 50 people from the region have been hired for engine assembly. About 30 employees from production-related areas have moved from the former production site to South Carolina, the company says. By next summer, about 50 additional jobs will be created for the manufacture of engine components. In four years as many as 250 people are expected to be employed at the new plant. MTU also has set up a training program in cooperation with Aiken Technical College. The Tognum Group acquired the approximately 100-acre site in March, including a 270,000-square-foot production building. Tognum also has rented a 120,000-square-foot warehouse close to the plant that will supply the parts required for production. Actuant Corp., the parent company of Marinco Electrical Group, signed a definitive agreement to acquire the stock of Mastervolt, the company announced in November. Total consideration for the transaction is about $150 million, which will be funded from the Butler, Wis.-based company&apos;s cash and revolving credit facility. Mastervolt generated about $110 million in revenue in the last 12 months. Based in Amsterdam, privately held Mastervolt is a designer, developer and global supplier of innovative branded power electronics. Its products provide technology associated with the efficient conversion, control, storage and conditioning of power and are utilized in end markets that include solar photovoltaic, marine and specialty vehicles. "Mastervolt represents a great addition to Actuant&apos;s electrical segment, repositioning it toward higher growth and product technology," Actuant CEO Robert Arzbaecher says in a statement. "Its focus on innovation, strong management team and asset-light operating model are an ideal fit with Actuant." MasterCraft Boat Co. is partnering exclusively with Ilmor Marine engines for its powertrain needs, beginning with the 2012 model year, the company announced. "Ilmor is one of the most impressive high-performance engineering companies in the world," MasterCraft president and CEO John Dorton says in a statement. "The same exceptional minds that dominate Indy are now dedicated to giving MasterCraft owners a powertrain experience unlike any the industry has ever seen." Founded in 1984 by Mario Illien, Paul Morgan and Roger Penske, Ilmor is a leader in high-performance engineering. Cars powered by Ilmor engines have more than 225 IndyCar race wins, 16 Indianapolis 500 victories and two Formula One world championships. In 2003, Ilmor created an engine for high-performance powerboats based on the 8.3L Dodge Viper V-10. By 2007, the company had expanded into powerboat racing, winning three consecutive world championships in Powerboat P1 racing and capturing an APBA/SBI (USA) championship in the P1 class. Teleflex announced in November that it entered into a definitive agreement to sell the actuation business of its subsidiary Telair International Inc. to TransDigm Group for about $94 million. The actuation business, which generated net revenue of about $24 million during the 12 months that ended Sept. 26, is a global provider of aftermarket service and support for commercial and military aircraft actuators, serving all major OEMs and airlines. SeaArk Marine has completed a 27-foot Commander RAM fire/rescue boat for the Potomac Heights Volunteer Fire Department in Indian Head, Md. The boat will be used for fire suppression and emergency rescue missions on the Potomac River and surrounding waters. The boat is based on a hull designed by C. Raymond Hunt Associates and is built of all-welded marine-grade aluminum. 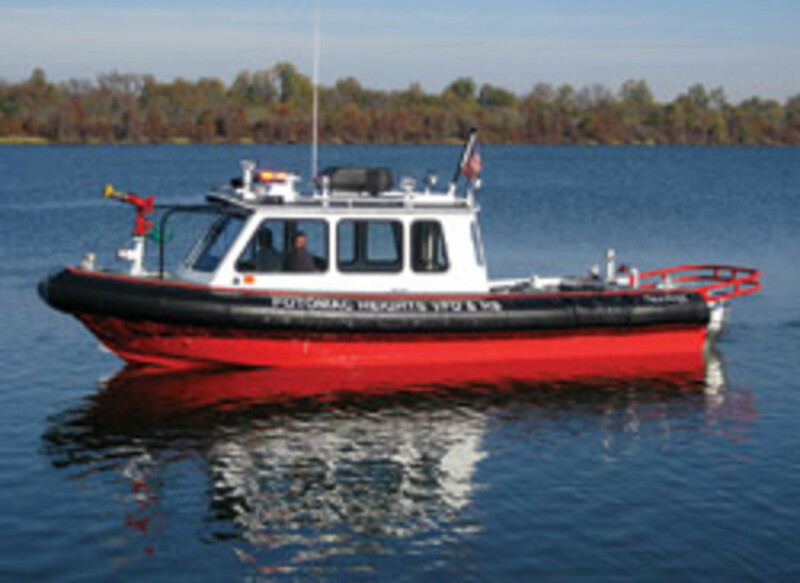 The Potomac Heights fire department selected twin 225-hp Honda 4-strokes that can generate response speeds of more than 40 knots. ARI, a provider of technology-enabled solutions that help dealers, distributors and manufacturers maximize profitability, announced that the Channel Blade product line will be marketed under the ARI brand. ARI acquired Channel Blade Technologies in April 2009. Since then, both companies have been operated with the goal of eventually integrating into one brand, according to ARI. Channel Blade provides websites, lead management and marketing automation solutions to the marine and recreational vehicle industries. "Our decision to market the Channel Blade product line under the ARI brand follows the successful integration of the work force, products and customers within ARI," Roy Olivier, president and CEO of ARI, says in a statement. "Both Channel Blade and ARI have great product loyalty and are recognized as leaders in their respective industries for providing customers with results-driven, technology-enabled solutions," he adds. "By aligning both names under one, we will be able to present a unified brand to all our customers and strengthen our product offerings and customer service across the power sports, outdoor power, marine, RV and other equipment markets we serve." The acquisition added more than $3.8 million in revenue during ARI&apos;s fiscal 2010, which ended July 31.